We've taken the last few days off and have had a bit of time on our hands, so we called up some of our closest celebrity friends to find out what their favorite Christmas songs are. Not everyone responded but a few did and here are the results. O Holy Night is SliceTruck's favorite Christmas Song. Happy Christmas (War is Over), is Natalie Portman's favorite Christmas Song. 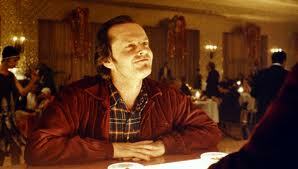 All I want for Christmas is You, is Jack Nicholson's favorite Christmas Song. 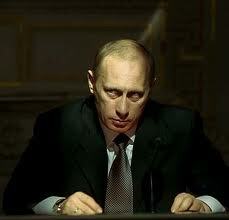 Have Yourself a Merry Little Christmas, is Vladimir Putin's favorite Christmas Song. Until then we'll have to muddle through some how. Thank you Natalie, Jack and Vladimir for sharing. The music and lyrics are included for you to practice up so you can dominate your next holiday party. Ha, Los Angles. Nice, I just sent out about 30 of those as Christmas gifts. Its actually a play on all the angles within a slice of pizza combined with the fact we're in los angeles and the Angels baseball squad that's in the area too. Just checked, this was spelled that way on our design proof, so its barely Dalton's fault. Its our fault first, Rob the designers 2nd and Dalton's third BUT it turns out we lucked out. I think we're going to keep it that way from now on on purpose. The Angles, The pizza slice business is a game of angles. Its like the invention of post its or one of those inventions where they invented it on accident.